A good case can be made for cellaring all of the latest wines released from Township 7 Vineyards & Winery by winemaker Mary McDermott. There is a complexity to them all that is still developing in the bottle. The wines are good now but I think they will be better in a year or two. That is true even of the Gewürztraminer because the wine was made deliberately in the Alsatian style – full-bodied and fairly dry. Even if you don’t normally consider tucking Gewürztraminer away in the cellar to a time, make an exception with this one. Ditto for the Chardonnay. It has the structure to age a bit like a good Burgundy. I became a fan of Mary’s style of winemaking soon after she arrived in the Okanagan from Ontario in 2014. Township 7 already had a good reputation for its wines but she has raised the bar considerably. She gave much more emphasis to grower relations while Township 7’s owner expanded the winery and installed some leading-edge winemaking tools for her. A word about the availability of these wines. The two whites and the Cabernet Franc were released exclusively for Township 7’s wine club. The winery has a very active wine club and has releases specially for the members throughout the year. The other two red wines are available from Township 7’s internet site and from its to wines – in Langley and just outside Penticton. Here are notes on the five releases. Township 7 Gewürztraminer 2017 ($24.97 for 338 cases). The wine begins with aromas of rose petal spice and lychee, leading to a medley of tropical fruit flavours (lychee, peach) with a hint of ginger on the dry finish. There is good weight on the texture. 91. Township 7 Reserve Chardonnay 2017 Becker Vineyard ($26.97 for 438 cases). This vineyard on Black Sage Road formerly was called Sundial Vineyard. The wine was fermented in French oak barrels (20% new). The oak is very well integrated in the wine. This is a rich wine with aromas and flavours of citrus, apple, pineapple and vanilla. I recommend cellaring this another six to 12 months so that it can fully express the complexity. 91. Township 7 Pinot Noir 2017 ($33.97 for 650 cases). This wine, which was aged 12 months in French oak, begins with aromas of cherry and raspberry. On the palate, the flavours display dark, savoury fruit on a bed of silky tannins. 91. Township 7 NBO 2016 ($33.97 for 258 cases). NBO stands for North Bench Oliver, the locale of the vineyards from which the grapes come. The blend is 42% Cabernet Sauvignon, 38% Merlot and 20% Cabernet Franc. Decanting is recommended to let this wine open, as it is still youthful. It begins with aromas of black currant and black cherry. The palate echoes those fruits mingled with cedar and chocolate. 91. Township 7 Cabernet Franc 2016 ($33.97 for 668 cases). This vibrant wine, which has 7% Cabernet Sauvignon in the blend, begins with the classic brambly, raspberry and cherry aromas of the varietal. On the palate, there are flavours of spice and dark fruits. The finish is persistent. Decanting is also recommended. 92. Valeria Tait, one of the most experienced viticulturists in the Okanagan, has been general manager of Bench 1775 Winery since 2012. Her strategy since then has been to renew gradually the estate vineyards every year, matching the appropriate varietals and clones to the site. She has made considerable progress since 2014 when the winery was purchased by China-born Eric Liu, a low-profile wine-loving Vancouver businessman. He has given Valeria the resources that Bench 1775 needed to upgrade both the estate vineyard and the winery, which is now equipped with modern winemaking tools. And he has given Valeria what she calls “unrestricted freedom” to manage the wine program. Bench 1775 has recently purchased two smaller vineyards on the Naramata Bench and a 28-acre former orchard in the Similkameen Valley near Cawston, where planting will begin this year. “We are going to be planting the same reds as those in our portfolio - Syrah, Cabernet Franc, Cabernet Sauvignon and some Malbec,” Valeria says. Also, small blocks of Sauvignon Blanc and Sémillon are to be planted. Bench 1775 does deal with one grower, the Gill family that owns the Gold Hill Winery. Valeria established a relationship with the Gills while doing some viticultural consulting there. Major red varietals and Viognier grapes are grown in the Gills’ Osoyoos vineyard for Bench 1775. These sources of grapes (current and future) are giving Valeria exceptional winemaking options, both for single varietal wines and for blends. Here are notes on current releases from Bench 1775. Bench 1775 Sauvignon Blanc 2017 ($25.90). The wine begins with aromas of herbs and lime. On the palate, there are refreshing flavours of lemon and lime. Partial fermentation in oak has given the wine nice texture. 91. Bench 1775 Meritage White 2016 ($31.90 for 180 cases). The wine club exclusive is a blend of 55% Sauvignon Blanc and 45% Sémillon, partially aged for 12 months in new French oak. It is a complex wine with aromas of lime and zesty tropical fruit mingled on the palate with subtle oak. 90. Bench 1775 Post Modern Chardonnay 2014 ($23.90). The hallmark of this Chardonnay is that it is released with three or four years of age. The 2014 vintage is now sold out. The 2015 was not available for tasting at this writing. The wine has aromas and flavours of ripe peach and ripe apple mingled with subtle oak. 91. Bench 1775 Viognier 2017 ($24.90). The wine begins with appealing aromas of citrus, apple and stone fruit. The palate is juicy and packed with flavours of apricot, apple and peach. The finish lingers. 92. Bench 1775 Brut Rosé 2014 ($21.90 for 533 cases). This is 50% each Chardonnay and Pinot Noir. The vibrant pink hue is appealing to the eye. On the nose, the wine is slightly fruity, mingled with a hint of brioche. The wine has raspberry flavours. The bubbles give it a creamy texture. 91. Bench 1775 Merlot 2014 ($29.90 for 1,000 cases). This full-textured wine begins with aromas of cassis and black cherry. On the palate, there are flavours of black cherry and plum. 92. Bench 1775 Cabernet Sauvignon Merlot 2014 ($31.90). This wine begins with aromas of black currant, black cherry and vanilla that are echoed in the palate. There is also spicy dark fruit on the finish. 92. Bench 1775 Cabernet Franc 2014 Clone 214 ($31.90 for 280 cases). This wine, which was aged eight months in French oak (20% new), begins with aromas of blackberries, raspberries and black cherry. The palate is packed with bramble berry flavours. The ripe tannins add to a full and fleshy texture. 91. Bench 1775 Cabernet Franc Malbec 2015 ($34.90). On the nose, the floral perfume of Malbec mingles with black cherry and blackberry. The bold flavours include black cherry, and vanilla. 91. Bench 1775 Malbec 2015 ($31.90). This bright, expressive wine begins with floral aromas mingled with cherry and blackberry. On the palate, there are flavours of cherry, vanilla and mocha. 89. Bench 1775 Syrah 2015 ($28). It is imperative to decant this wine so that it can express its aromas and flavours properly. It was tight straight from the bottle but, with aeration, opened up with aromas and flavours of plum, fig and vanilla. 92. Bench 1775 Cabernet Sauvignon Syrah 2015 ($29.90 for 550 cases). The blend is 48% Cabernet Sauvignon, 46.5% Syrah and 5.5% Merlot. This gold medal-winning wine begins with the meaty, earth aromas from the Syrah. The palate is ripe, with flavours of plum, black cherry, mocha and vanilla. Decanting is recommended to open the flavours and richness of this delicious blend. 92. This is the fifth winery in Creston and environs, fully establishing this as an emerging wine region since Skimmerhorn Estate Winery opened in 2006. The other wineries now operating here are Baillie-Grohman Estate Winery, William Tell Family Estate and, in nearby Wynndel, Wynnwood Cellars. Remi and Shannon Cardinal, the owners of Red Bird, spent six years looking at properties from Nova Scotia to British Columbia. They concluded that Creston is an “up and coming” wine community with land considerably more affordable than in the Okanagan. The Creston lifestyle, with access to skiing and hiking, also appealed to them. They converted a neglected orchard near Baillie-Grohman (Creston’s largest winery) to vineyard. Not having a background in wine growing, Remi and Shannon canvassed the other Creston wineries before deciding, in 2015, what to plant. The two largest blocks in their 1.2-hectare (three-acre) vineyard are Pinot Gris and Gewürztraminer; and there are small blocks of Schönburger and Kerner. All had already proven themselves in other vineyards. Remi and Shannon also have taken a flyer on six rows of a red called Gamaret (pronounced gamma-ray), from which they made 20 cases of rosé from their first harvest in 2018. The early-ripening and hardy varietal is red developed from a 1970 cross in a Swiss research station of Gamay Noir and Reichensteiner. Released commercially in 1990, there are at least 400 hectares (1,000 acres) of Gameret in Swiss vineyards. There also are smaller plantings in northern Italy, Beaujolais, Belgium – and now six rows in British Columbia. And more if the wine succeeds, which seems likely. The couple began their journey to wine growing in 2009 when Shannon took the viticulture course at Okanagan College. “When I took the course, we were semi-serious,” she says. Born at Red Deer in 1981, Shannon is an environmental consultant specializing in oil well remediation. Remi, who was born in 1980 near Montreal, is a forester. He and Shannon met in 2003 while working on a forest inventory in Northern Saskatchewan. International travel fired their decision to become wine growers. Red Bird’s first vintage was 2017, with a production of 340 cases, some with Okanagan grapes. 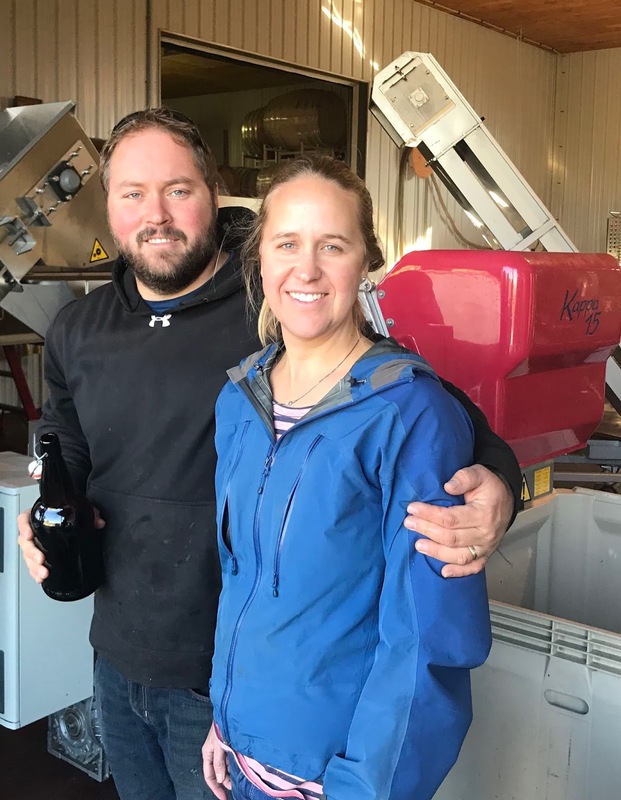 Remi and Shannon’s eventual goal is to produce 2,000 cases a year, all of it with Creston area grapes. The 2017 wines were made at BC Wine Studio in Okanagan Falls, whose owner, Mark Simpson, also acts as Red Bird’s consultant. Remi and Shannon converted a building at their property for winemaking in 2018. They intend to build a new winery there and open a tasting room by 2021, replacing the informal tasting arrangements than have greeted visitors so far. Here are notes on two recent releases. A Meritage was also released this summer but is now sold out. Red Bird Pinot Gris 2017 ($20). 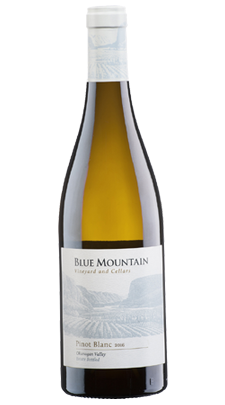 A full-flavoured wine, this crisp and refreshing Pinot Gris has aromas and flavours of apple, pear and citrus. A delicate hint of minerals gives the wine good structure. 90. Red Bird Gewurztraminer 2017 ($20). This is a blend of 83% Gewürztraminer, 10% Schönburger and 7% Kerner, fermented in stainless steel. The wine is light (11.6% alcohol) and fresh with floral and spicy aromas and flavours of pear and apple. The finish is dry. 88. A new Okanagan producer, Mayhem Wines Inc., was launched in late October under the license of Meyer Family Vineyards of Okanagan Falls. So far, most of the public tastings have been in various Penticton wine stores or at the Meyer tasting room. I was able to taste the wines in September and they are first-rate. Mayhem succeeds Anarchist Mountain Vineyards, a boutique winery that was established after Terry Meyer and Andrew Stone in 2010 purchased a 4 ½-acre vineyard on the side of Anarchist Mountain above Osoyoos. Terry is the sister of JAK Meyer (below) who, with wife Janice Stevens, operates the Meyer winery at the Okanagan Falls vineyard he purchased in 2008. He asked his sister and Andrew, her partner, to help develop his winery and they quickly became involved with their own project. Anarchist produced about 500 cases a year (Chardonnay and Pinot Noir) under a custom crush arrangement with Meyer. Last summer, JAK and Janice initiated a formal winery partnership with Terry and Andrew to launch Mayhem. The business model allows Mayhem [ex- Anarchist] to grow its wine production while eliminating its former varietal overlap with Meyer. With the exception of a modest volume of Gewürztraminer, Meyer’s 8,500 cases of annual production are Pinot Noir and Chardonnay. Meyer now takes all of the Chardonnay (three acres) and Pinot Noir (half an acre) in the Anarchist vineyard, leaving an acre of Merlot for Mayhem. As well, Mayhem is free to source other varietals, to grow its production and sales. Like the Anarchist wines before them, the Mayhem wines are made at Meyer Family Vineyards, at least for the time being. “I am from Ontario,” says Simone (right), who has been at Meyer since June 2017. “I graduated from Niagara College. I spent two years at Tawse Winery and then I did a harvest for Clos Jordanne [which has since closed]. Then I went vintage hopping.” She has done vintages in New Zealand, Australia, Oregon and Burgundy, as well as the 2014 harvest at Meyer. Before returning to Meyer, she also worked with Bench 1775 Winery near Naramata. The partners had to some up with a new winery name after they discovered that - unknown to them – someone else already had trademarked Anarchist. The search for synonyms eventually led to Mayhem. The Mayhem wines, notably the whites, has been released at lower price points than the Meyer wines, another differentiation between the brands. However, Mayhem over-delivers. Mayhem Pinot Blanc 2017 ($18). The winemaking here does justice to an underappreciated varietal. The wine has aromas and flavours of citrus and apple, with good weight on the palate and refreshing crispness on the finish. 91. Mayhem Pinot Gris 2017 ($18). The majority of this wine was fermented in stainless steel; a minor portion was fermented in neutral oak barrels and added for texture and complexity. The wine has aromas and flavours of pear and citrus. The finish is crisp and refreshing. 90. Mayhem Sauvignon Blanc ($18). The wine begins with herbal aromas mingled with lime. It is crisp and fresh on the palate, with an appealing core of lime and other tropical fruit flavours. 91. Mayhem Merlot Cabernet Franc 2015 ($26). This is a blend of 67% Merlot, 33% Cabernet Franc. It is a juicy, appealing red, with aromas and flavours of black cherry and blackberry and with long ripe tannins. 91. Mayhem Cabernet Franc 2015 ($30). This wine has the classic brambly aromas of flavours of the varietal, notably blackberry and black cherry. The wine is full on the palate. There is a lingering note of chocolate on the finish. 91. Quails’ Gate Estate Winery will be one of the 26 British Columbia wineries at the Vancouver International Wine Festival. Over the years, this winery has been a frequent applicant to attend the festival. 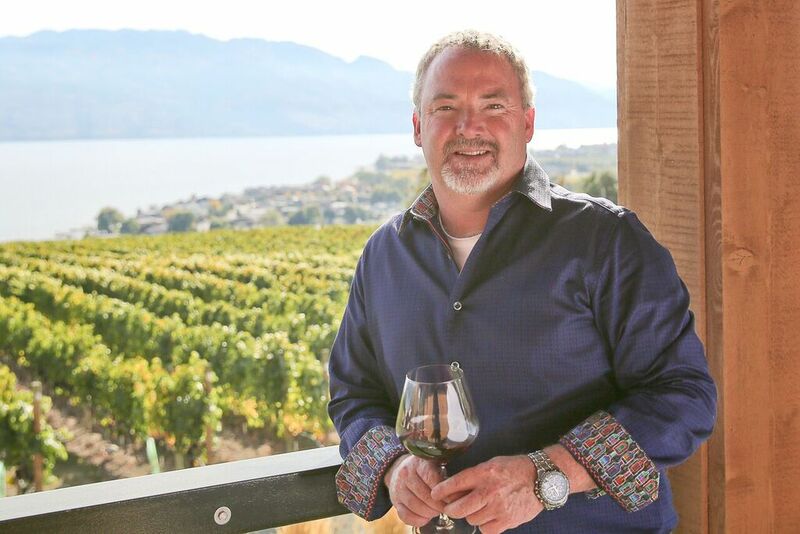 Given the status of Quails’ Gate as one of the Okanagan’s leading wineries, choosing it is a no-brainer for the festival’s selection committee. Tony Stewart, the winery’s president, is the principal at the festival again this year. This year, he will be accompanied by the winemaking team: Susan Doyle, the new vice-president of winemaking for California and Canada, and Ross Baker, the Quails’ Gate winemaker. Every winery is allowed to have four wines at its table, plus a fifth to be poured at the two trade tasting afternoons. The Quails’ Gate trade wine at the festival in February will be a $24 Pinot Gris. No doubt, it will be a delicious wine – but almost every winery in British Columbia also has Pinot Gris. Last fall’s wine release from Quails’ Gate included a number of other wines that are not among a crowded field of varietals and/or are quite superb. If I were still on the selection committee, I might have suggested the winery offer its Totally Botrytis Affected Optima as the trade wine. This delicious wine is unique. For your information, Quails’ Gate will be pouring these wines at the festival: its always excellent Chenin Blanc 2017; the Stewart Family Reserve Chardonnay 2016 and the Stewart Family Reserve Pinot Noir 2016, two of its flagship wines; the Merlot 2016 which is reviewed below; and The Bench Pinot Gris 2016. Here are notes on the fall wine releases. Quails’ Gate Old Vines Foch Reserve 2016 ($46.99 for 576 cases). Now in its second decade as a cult vine, the Old Vines Foch Reserve shows good viticulture and good winemaking can do for a sometimes maligned varietal. The wine begins with powerful aromas of spiced plum, fig and vanilla. On the palate, there are flavours of fig, black cherry and licorice mingled with vanilla. 92. Quails’ Gate Old Vines Foch 2016 ($24.99 for 2,809 cases). Inky dark in colour, the wine has aromas of black cherry and plum mingled with oak. The wine was aged 18 months in American oak barrels (mostly neutral). On the palate, the flavours are meaty with notes of cherry, leather and chocolate, with lively acidity. 90. Quails’ Gate Fortified Vintage Foch 2016 ($25.99 for 507 cases of 375 ml). Dark in colour, the wine begins with aromas of fig and plum mingled with oak and spice. On the palate, the wine is rich in texture. It presents sweet flavours of plum, cherry, fig and spice that persist on the finish. The wine carries its 18% alcohol very well. 91. Quails’ Gate Merlot 2016 ($25.99 for 3,713 cases). This is a sveltely-textured wine already drinking well but with the ripe tannins that will support aging. It begins with aromas of black cherry, cassis and vanilla, which are echoed on the palate. The fruit flavours are rich and bright at the same time, for a hedonistic experience. 92. Quails’ Gate Cabernet Sauvignon 2016 ($35.99 for 3,000 cases). Eighteen months aging in French oak contributed to the lush texture of this wine. The aromas of black cherry, mint and cassis are echoed on the palate. 92. Quails’ Gate The Connemara 2016 ($84.99 for 280 cases). The blend in this tour de force is 40% Merlot, 30% Cabernet Sauvignon and 30% Cabernet Franc. The wine is dark, with a concentrated texture. It begins with aromas of dark fruit mingled with cassis and vanilla. On the palate, there are layers of fruit – black cherry, blueberry, mulberry – with a lingering finish of spice and chocolate. Decant this wine if you drink it now; or age it up to 15 years. 94. Quails’ Gate Totally Botrytis Affected Optima Late Harvest 2017 ($28.99 for 791 cases of 375 ml). This wine is legendary among Okanagan dessert wines, and not just because few wineries have the terroir and a grape susceptible to Noble Rot. Lightly golden in the glass, it begins with the classic sweet tobacco aromas of botrytis, along with notes of apricot. The palate is luscious, with flavours of apricot, peach and orange marmalade. The intensity of the aromas and flavours are heightened by the residual sugar (164 grams per liter), superbly balance with 10.8 grams of acidity. There is nothing cloying here. The lingering finish is fresh. 95. Quails’ Gate Cailleteau Gamay Nouveau 2018 ($19.99 for 180 cases). Several years ago, Quails’ Gate revived the Beaujolais Nouveau tradition in the Okanagan with this wine. Exuberant and youthful, it is made from grapes picked at the end of September. The wine was bottled a month later and released mid November. Since this style is meant to be consumed by Christmas, this review is probably irrelevant. It has aromas and flavours of cherries and plums mingled with mocha and spice. 88. Winemaker Mark Simpson put an audacious marker down in 2010 when he launched his Siren’s Call with a portfolio including a premium red blend called Harmonious. The wine was competing with as such icons as Nota Bene. The audacity was that Mark’s fermenting expertise to that point was primarily in beer. His transition from brewing to winemaking has succeeded. His BC Wine Studio, a custom crush wine producer based on an Okanagan Falls vineyard owned by partner Steve Carter, has nurtured several start-up wineries as well as expanding the Siren’s Call portfolio. And it is just launching wines, including a traditional method sparkling wine, under the Hawk’s Vineyard label (Steve Carter’s brand). Harmonious has taken its place among the leading red blends. It was one of the wines entered last November in the BC Iconic Reds tasting. As it happened, Harmonious 2014 was my favourite red that evening. Harmonious 2015, which will be released in mid-2019, is as good. Recently, I sat down with Mark to taste the new Siren’s Call releases. In 2007, he set up Artisan Food and Beverage Group Inc., his consulting company. Working in another winery’s facility, he created Siren’s Call three years later, in part to establish his credibility with his wine industry clients. “It is like buying a billboard,” he said once. In 2012, Steve Carter, an Artisan client who wanted to establish a winery, bought a 6.5-acre vineyard near Okanagan Falls. The site is now called Hawk’s Vineyard. Mark moved his winemaking to this site, calling it BC Wine Studio and making it home for Siren’s Call, among other labels. Successful producers have begun as virtual wineries at BC Wine Studio and now have developed their own wineries. These include Nagging Doubt Wines, now based on a vineyard in East Kelowna, and Black Market Wines, now on its own vineyard in Kaleden. Tasting room facilities at BC Wine Studio are informal, in part because the steep and narrow road into the vineyard is somewhat challenging. However, Mark and Steve have begun planning a readily accessible wine shop on Oliver Ranch Road. Siren’s Call Viognier 2017 ($21). This is a classic expression of the varietal, with aromas and flavours of stone fruit mingled with citrus and spice. The finish is crisp and refreshing. 91. Siren’s Call Grüner Veltliner 2015 ($25). Maturity has given this wine a rich texture with flavours of lemon and lime. 90. Siren’s Call Sauvignon Blanc Sémillon 2016 ($22). The blend is two-thirds Sauvignon Blanc and one-third Sémillon. The wine begins with herbal and citrus aromas that lead to tropical flavours of lemon and lime. The finish is crisp and fresh. 91. Siren’s Call Cabernet Franc 2016 ($25). This wine was made with fruit from a Similkameen vineyard, with Mark aiming for a lighter Loire style red. The wine begins with aromas of raspberry and sage. There is bright red fruit on the palate with a hint of pepper on the finish. 90. Siren’s Call Pinot Noir 2016 ($25). Made from grapes sourced from an Oliver vineyard, this wine begins with aromas of cherry and spice. This is echoed on the palate, along with subtle hints of vanilla. The texture is fleshy, with a silken finish. 91. Siren’s Call Syrah 2015 ($35). Syrah is one of Mark’s favourite winemaking varietals. This wine incorporates grapes from both the Similkameen and the south Okanagan. Aged 18 months in American oak, the wine begins with aromas of black cherry and white pepper. On the palate, the flavours mingle black cherry with deli meats. There is a smoky note on the finish. 91. Siren’s Call Petit Verdot 2015 ($27). This varietal is rarely bottled on its own. Almost black in colour, the wine is dense and concentrated. Aromas of black fruits including black currant lead to flavours of black cherry and black currant, with leather, slate and licorice on the finish. Pair the wine with dark chocolate. 92. Siren’s Call Special Reserve Cabernet Sauvignon 2015 ($35). The 2015 vintage produced exceptionally ripe and full-flavoured Cabernet Sauvignon, leading to a special bottling for Siren’s Call. The wine, aged 18 months in French and American oak, has aromas and flavours of black cherry and black currant. There are layers of fruit on the palate. Long ripe tannins give the wine an elegant and polished texture. 93. Siren’s Call Harmonious 2014 ($35). The blend is 44.4 % Merlot, 10.5%, Cabernet Franc, 14.4% Cabernet Sauvignon, 3.9% Malbec, 12% Petit Verdot, 3.9% Syrah 3.9%. The wine begins with perfumed aromas of black cherry, cassis and spice. On the palate, there are mouth-filling layers of fruit including black cherry and blackberry with a hint of pepper. The finish is persistent. 95. Siren’s Call Harmonious 2015 ($35). This wine is anchored around 42% Cabernet Sauvignon, with Merlot, Malbec, Petit Verdot, Cabernet Franc and Syrah in the blend. Dense and layered, the wine has aromas and flavours of black cherry, black currant and spice. 94 – 95. Arterra Wines Canada, which farms almost 1,300 acres of Okanagan vineyard, has carved out one of its best properties for a single vineyard red wine brand. Sunrock Vineyards is a sunbathed 180-acre vineyard on the Osoyoos Lake Bench that was developed twenty years ago by Vincor International, the predecessor to Arterra. This is one of several single vineyards that Arterra has launched in recent years. Wines from Black Sage Vineyard, formerly the flagship at Sumac Ridge Estate Winery, have become a stand-alone brand. At Inniskillin Okanagan, wines from the Dark Horse Vineyard are emerging similarly as single vineyard wines. Sunrock Vineyards was a star in the Jackson-Triggs wine portfolio, along with the Jackson-Triggs Grand Reserve wines. The latter continue to be produced and now sell at slightly lower prices than Sunrock. For Grand Reserve and other Jackson-Triggs wines, the winemakers have the flexibility of selecting fruit from any and all of the many Arterra vineyards in the south Okanagan. Spinning out Sunrock indicates that the team at Arterra realize how exceptional this vineyard is. Troy Osborne, Arterra’s director of viticulture, has been involved with farming Sunrock from the start. When the vineyard was being planted in 1998-1999, the viticulturists at the time hedged their bets by planting both white and red varietals. The reds included a 30-acre block of Pinot Noir. When it was realized within a few years that the vineyard is far too hot for Pinot Noir, those vines were all grafted over mostly to Shiraz. Chardonnay also was planted in Sunrock originally but that variety also has been replaced with heat-loving reds. The major varietals grown here are Cabernet Sauvignon, Merlot, Cabernet France, Shiraz and Zinfandel. The Sunrock wines are made by Dave Carson, a veteran Okanagan winemaker and now the senior winemaker in Arterra’s British Columbia team. Sunrock Shiraz 2015 ($34). Big and ripe, this wine begins with generous aromas of plum, fig and black cherry mingled with black pepper. On the palate, there are flavours of dark fruits, vanilla and oak. 92. Sunrock Cabernet Sauvignon 2015 ($34). This wine begins with aromas of black cherry, cassis and vanilla. On the palate, there are flavours of black cherry, black currant mingled with spice and dark chocolate around a spine of firm but ripe tannins. 93. Sunrock Red Meritage 2016 ($34). The blend is 80% Merlot, 15% Cabernet Sauvignon and 5% Cabernet Franc. The wine begins with appealing aromas of plum and cassis. On the palate, there are opulent flavours of plums, black cherries, vanilla and chocolate. 92. Sunrock Illumina 2016 ($39). This is a blend of 67.5% Shiraz and 32.5% Zinfandel, an inspired blend created several years ago by Dave Carson. It is a bold wine with aromas of blackberries and black cherries. On the palate, the wine is juicy, offering layers of jammy fruit framed by subtle oak. 93.